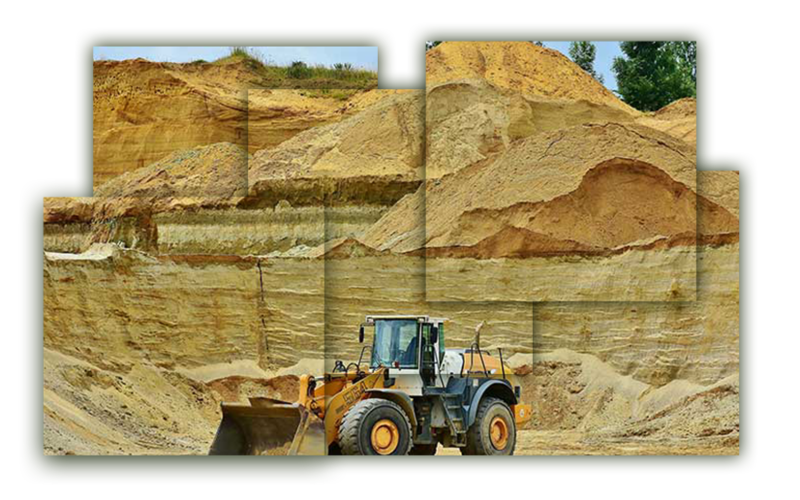 One of the core sectors in India, the mining sector provides basic raw materials to many important industries. The sector contributed about 2.6% of the Gross Value Added (GVA) in 2015-16. The total mineral production (excluding atomic minerals) during 2014-15 has been estimated at USD 40.9 billion. Fuel minerals account for 64%, metallic minerals 14%, non-metallic minerals 3% and minor minerals 19% of the total value. India is the third largest producer of coal and the fourth largest producer of iron ore in the world. India has significantly large resources of iron ore, bauxite, chromium, manganese ore, baryte, rare earths and mineral salts. India produces as many as 90 minerals that include 4 fuel minerals, 5 atomic minerals, 10 metallic and 71 non-metallic minerals. In 2014-15, there were more than 3,318 reported mines including coal & lignite (excluding atomic minerals, petroleum (crude), natural gas (utilised) and minor minerals. Out of 3318 reporting mines, 498 were located in Rajasthan followed by Andhra Pradesh (444), Gujarat (362), Madhya Pradesh (326), Tamil Nadu(272), Jharkhand (250), Chhattisgarh (201), Karnataka (178), Odisha (173), Maharashtra (150), Telangana (145) and West Bengal (120). These 12 states together accounted for 94% of the total number of mines in the country in 2014-15. Among them, 575 mines belonged to coal & lignite, 595 to metallic minerals and 2,148 to non-metallic minerals. 1. August 2017 - Adani Enterprises Ltd announced that it is ready to start work on theUSD 16.5 bn Carmichael mine. The project is expected to commence production in FY 2020-21 with an output of 25 mn tonnes in the first phase. 2. June 2017 - JSW Steel proposed constructing a slurry pipeline project to transport iron ore and coal at competitive prices in Karnataka with an investment of USD 3.3 bn . JSW Steel is currently operating a 12-MMTPA integrated steel plant in the area. 3. March 2017 - Hindustan Zinc announced that it will set up its first Zinc Fumer Plant in Rajasthan by 2018 with an investment of USD 83.2 mn . This plant will extract metals from waste and will have an annual production capacity of 3,000 tonnes. 4. March 2017 - Mangal Credit and Fincorp announced plans of diversifying in iron ore mining by acquiring a mine near Goa. The 21 ha mine consists of iron ore reserve worth USD 223.1 mn . 6x Growth in FDI for the 3 years period 2014-17 viz-a-viz 2011-14.